Being one of the essentials in the world of luxury, the famous Italian brand Bulgari got in to our pages again with another iconic timepiece. Bulgari keeps making a name for itself in the world of watches with the recent investments and the successful models released one after another, and that’s besides many unique and exclusive jeweler collections. 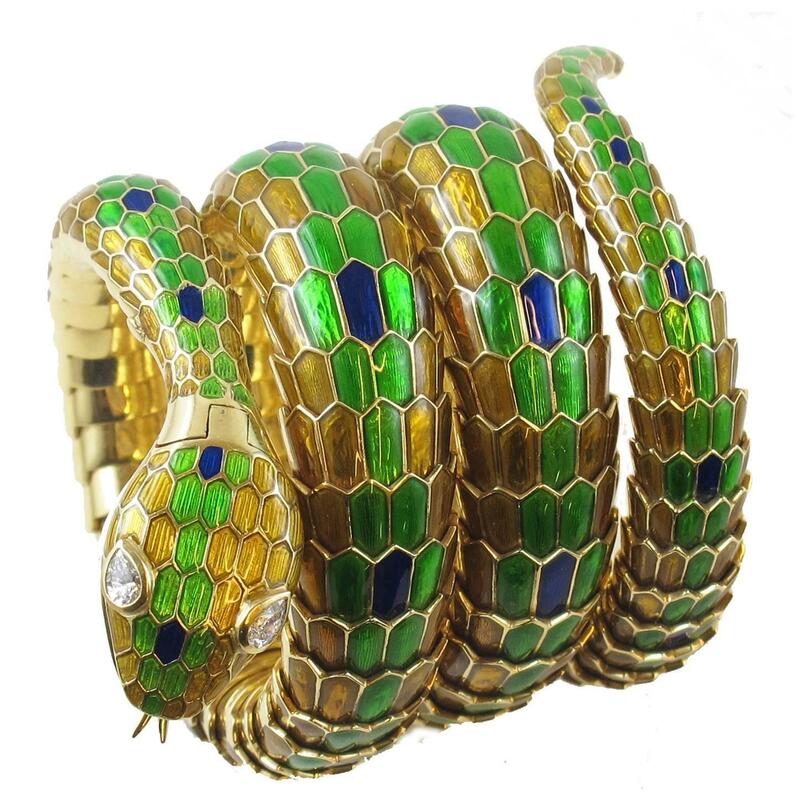 The history of the Bulgari Serpenti was inspired by the snake figure in the ancient Roman and Greek history, and dates back to 1940s. 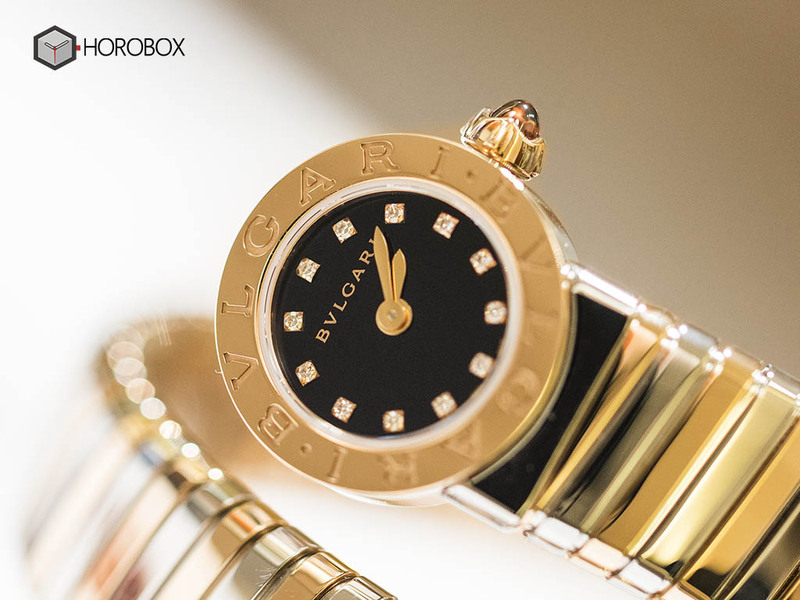 The figure has been revised a number of times, however, its importance to Bulgari is essential as it became a symbol of the brand. Back in the early 1940s, Bulgari started to use a jewelry manufacturing technique called Tubogas, which was inspired by the ancient Roman jewelry and features a design like a twisted twine. Representing the brand’s Greek-Roman heritage perfectly, the Tubogas bracelet, which wraps the wrist like snake, left a mark in history. 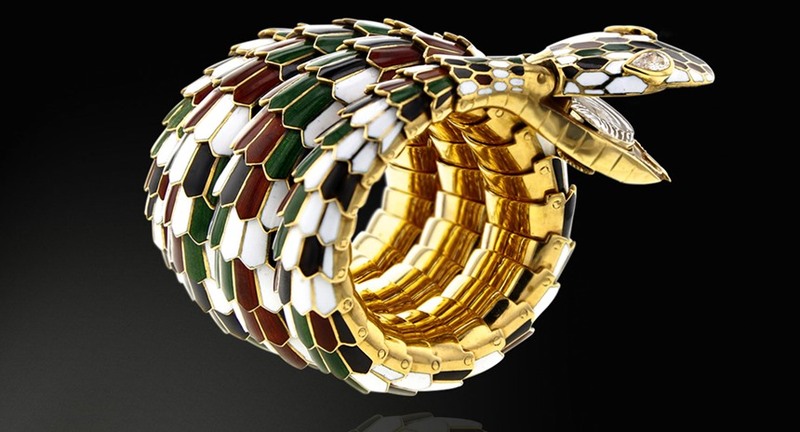 In 1960s, the Serpenti Collection became an essential accessory; especially for celebrities. 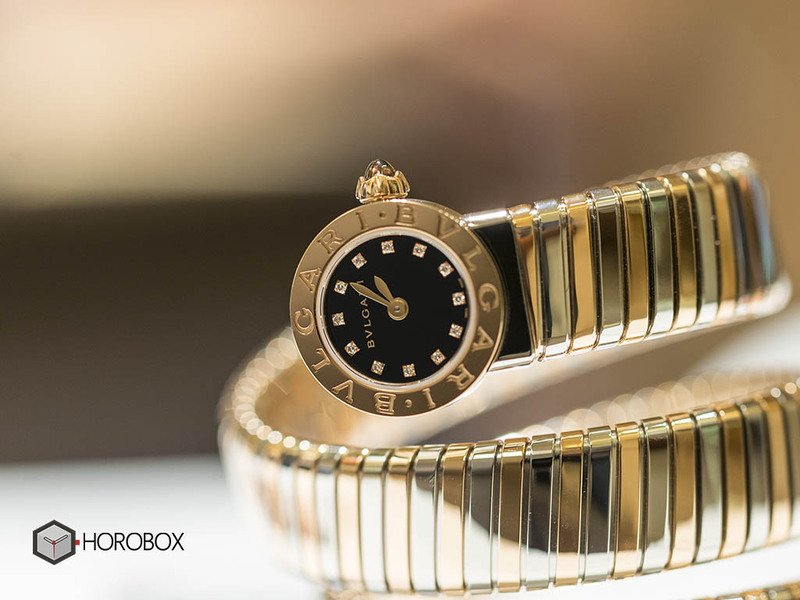 The most significant appearance of Serpenti was made by the legendary actress Elizabeth Taylor. 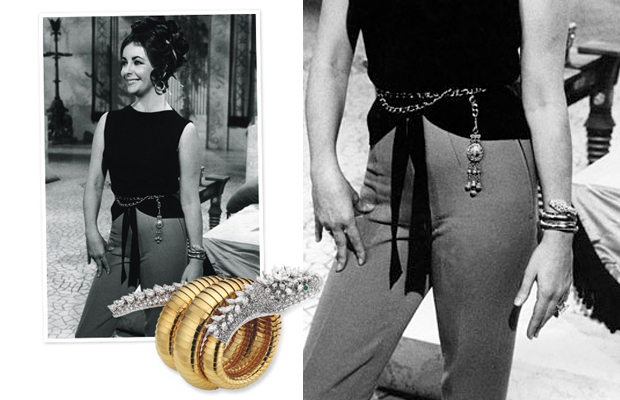 Ms.Taylor wore a Serpenti bracelet while she was filming the block buster motion picture Cleopatra. 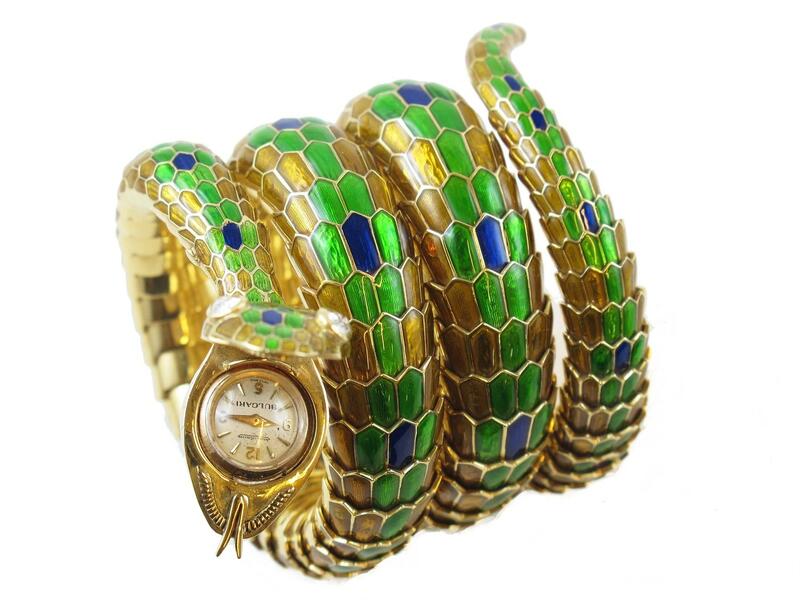 During the same period, the very first Serpenti watches arrived. Mostly sporting movements from Vacheron Constantin or Jaeger LeCoultre, the watches were placed inside the opening jaws of the snake figure. The brand adds enamel technique to the successful collection in the mid 1960s making the snake figure more live and colorful. After Giorgio Bulgari passed away in 1966, his sons Gianni, Paolo and Nicola took over. The brothers made many upgrades in the product lines in order to improve their father’s heritage. Serpenti Collection got its share of those upgrades by sporting belts among bracelets, watches, and necklaces. 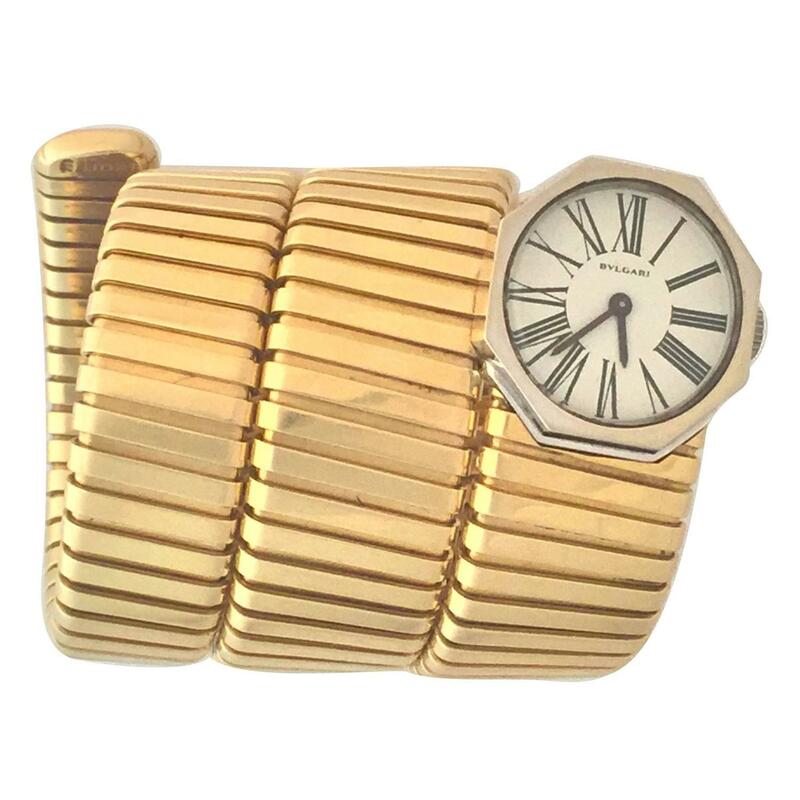 The 1970s were quite important for Bulgari and Serpenti Collection. 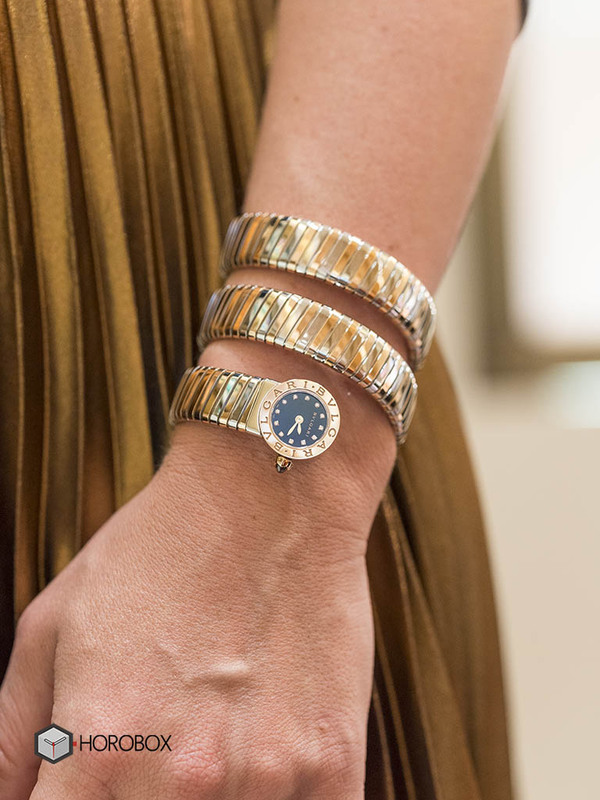 Bracelet became a more casual and every day accessory for women instead of being a complementary jewelry for a cocktail dress. 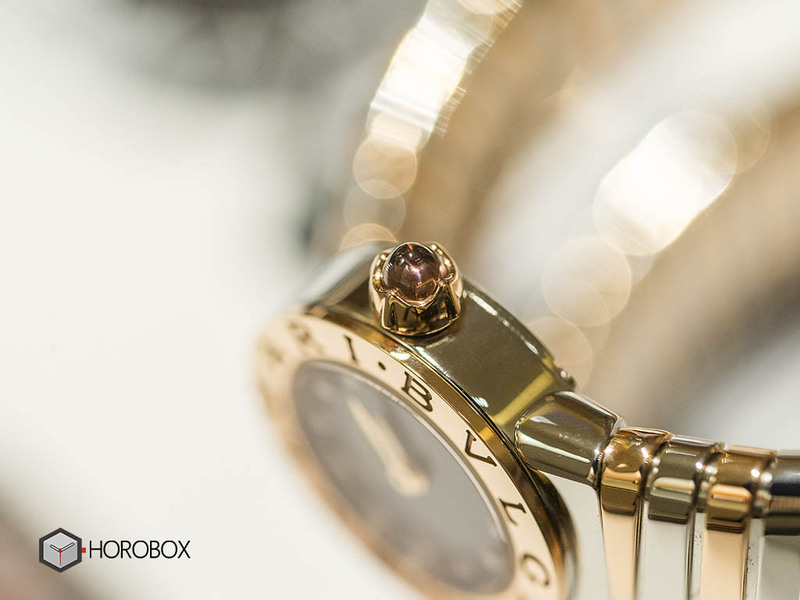 Being aware of the situation, Bulgari kept moving by re-designing the collection to meet the era’s requirements. In the meantime, the brand opened its first boutique outside of Italy in New York in 1971. 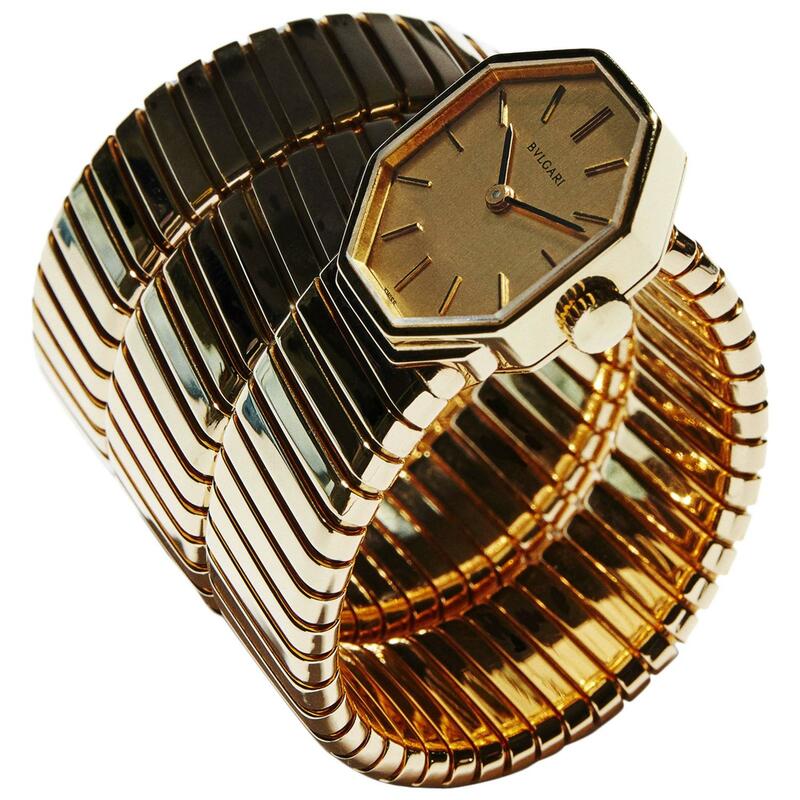 The 1970s, which was the golden years of the Italian fashion, were also quite successful for Bulgari as well. After New York, which was considered as the center of the international fashion, a Paris boutique followed. 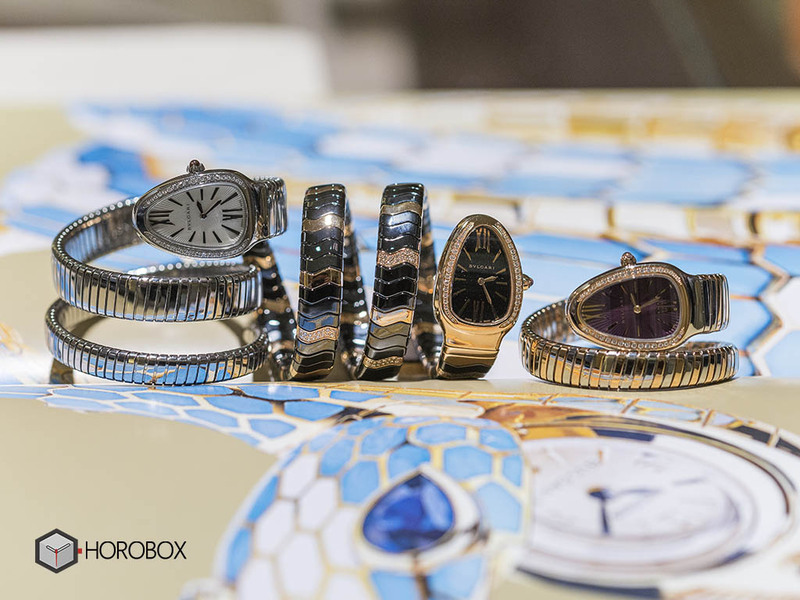 The Serpenti Collection kept rising with all its sub product lines. 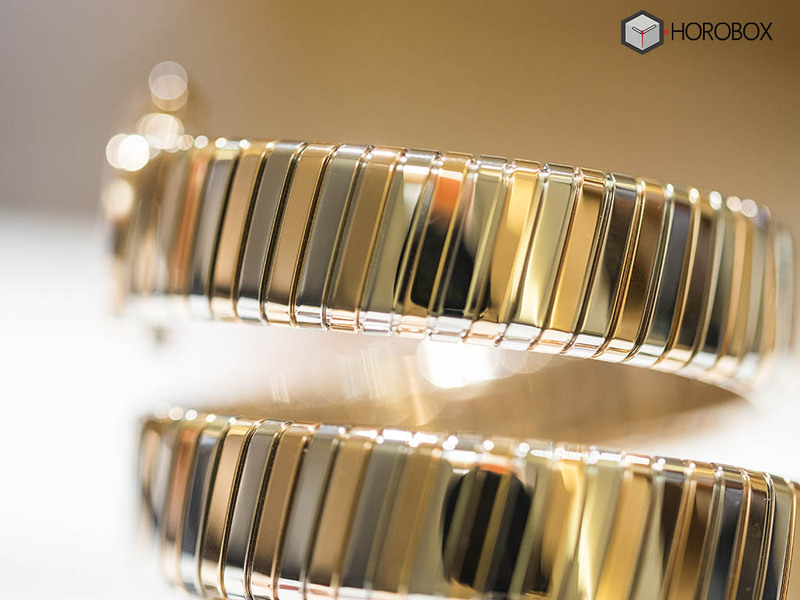 Besides creating new designs, Bulgari was re-using existing ones, transforming them to become more modern, using gold and Tubogas. The Tubogas technique was rather difficult, and Bulgari was more or less the only brand doing it at the time. Many others had stopped years before. 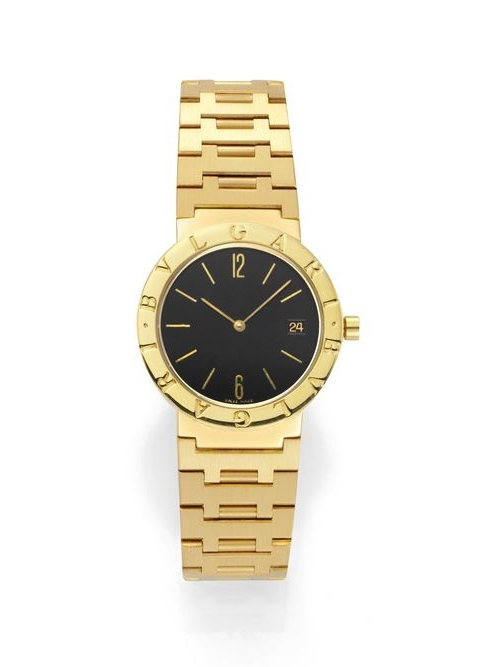 In 1978, Bulgari took another bold move and entered the watch market. They establishing a factory in Switzerland with the sole purpose of manufacturing watches. 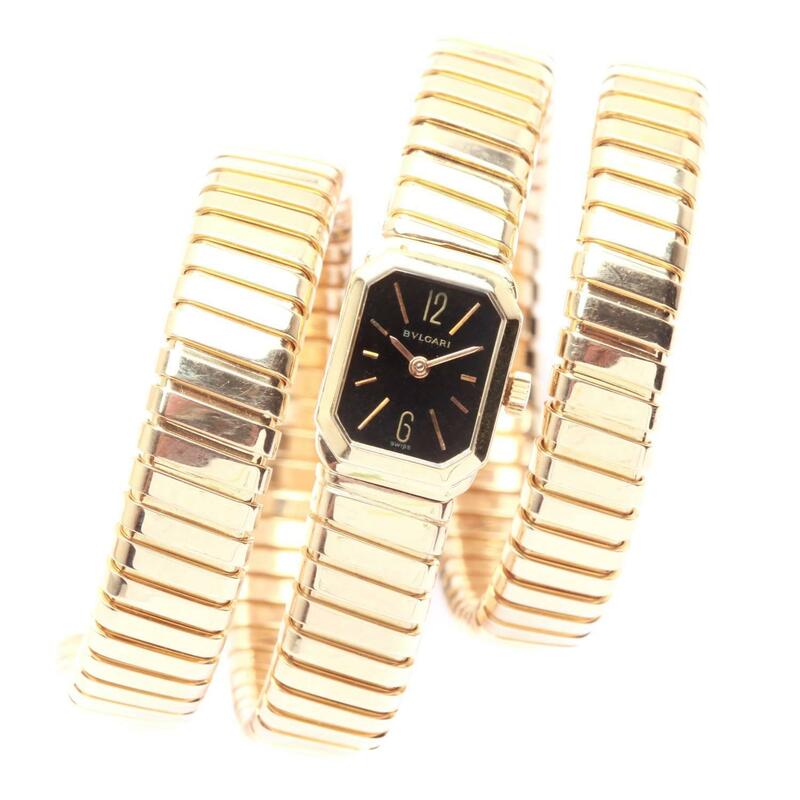 The 1980s and 1990s were also quite successful for Bulgari. The brand became a trendsetter and its goods were more like prestige symbols among women. During that era, the brand decided to write the Bvlgari name on their products. Pretty extraordinary for the industry back in the day. The new products were an instant success. This was the birth of the Bvlgari-Bvlgari product line. 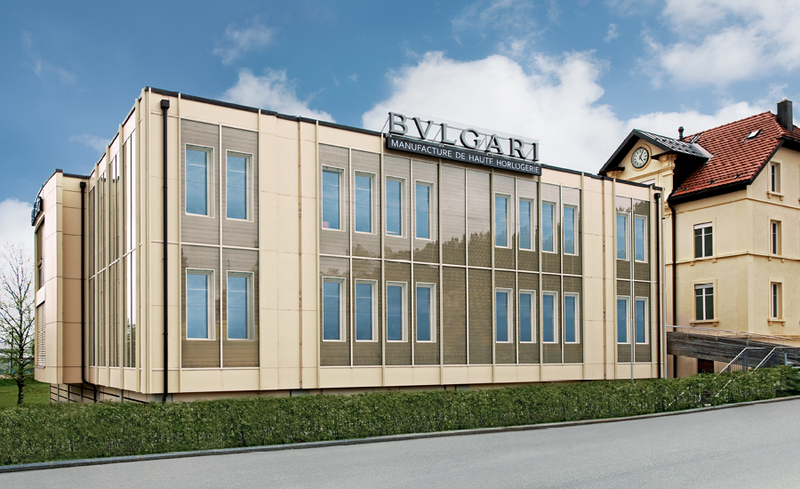 Referring to the results of the poles made about luxury shopping, Bvlgari listed in the top three luxury brands alongside Chanel and Christian Dior. While the 2000s welcomed major changes in many ways, Bulgari Tubogas Serpenti kept its popularity and moved on. 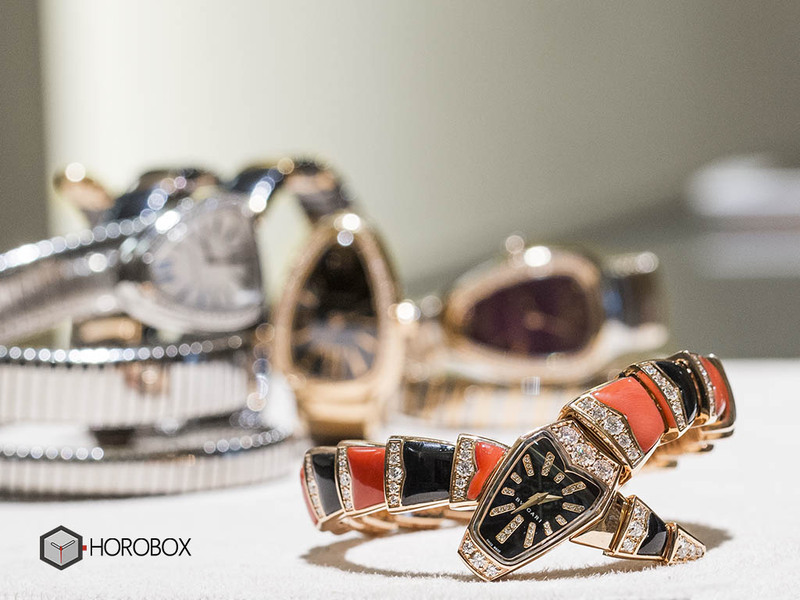 In 2009, the brand celebrated its 125th year with special edition products including the Tubogas Serpenti Collection. The new collection features watches with hinged segments, snakes, and gold springs for increased flexibility and elasticity; newer, bigger Tubogas watches; and Roman numerals on the dials for a connection to the past. This significantly expanded the product line. 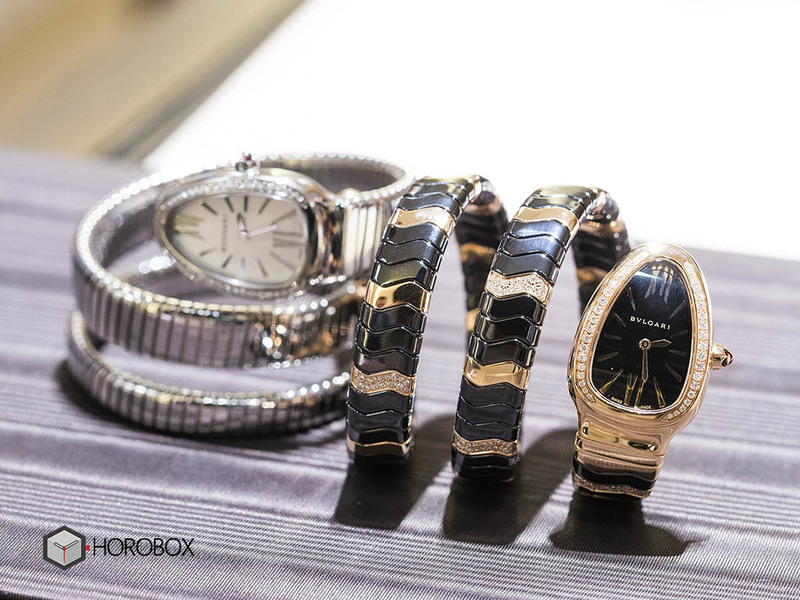 Bulgari Tubogas Serpenti Collection was re-designed in 2012, 2014 (for the brands 130th year), and 2015. 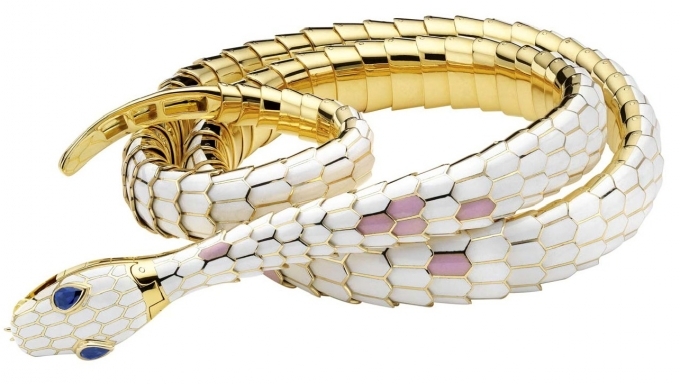 Today, Tubogas Serpenti is still one of the brand’s most important collections. It is also one of their most unique. We suggest you to visit the brand’s magnificent boutique at the Zorlu Center Shopping Mall in order to see the models we had here as well as the rest of the collection.